1.1 Acceptable Use Policy: the policy notified to Customer by Lycamobile (whether that policy is required by Lycamobile or any underlying Network operator enabling the Services) governing the acceptable use of the Services, which policy may be amended from time to time and which is available at www.lycamobile.se. 1.2 Agreement: the agreement to provide the Service to the Customer by Lycamobile which is entered into when the Customer purchases and registers with Lycamobile. These general terms and conditions are an integral part of that Agreement. 1.3 Customer: a natural person who, or a legal entity that enters into an Agreement with Lycamobile. 1.4 Lycamobile Customer Service: the customer services department, which the Customer may contact for all questions regarding the Lycamobile Service, to be reached by calling either 3332 from your Lycamobile or +46 7349 73737 from another phone. 1.6 Lycamobile Service or Service: the service through which the Customer uses the Network for direct transport of telecommunication traffic from mobile users to and from connection points on the Network or to connection points on other networks. 1.7 Lycamobile SIM Card or SIM Card: a prepaid, pre-activated card containing a microprocessor enabling access to the Services. 1.8 Lycamobile Top-up Voucher: a multipurpose voucher (whether in physical or electronic form) containing a code enabling the Customer to redeem the face value against multiple products such as mobile telephony airtime. 1.9 Network: the network for wireless telecommunication. 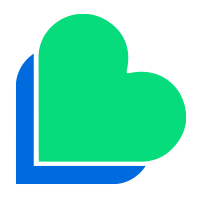 1.10 Products: Lycamobile SIM Card and Lycamobile multipurpose Vouchers or any other product offered by Lycamobile. 1.11 Roaming Services: these are mobile telephony services enabling the continued access to the Services by a Customer when travelling outside Sweden are which are provided over telecommunications systems of foreign networks outside of the Sweden and over which Lycamobile has no control. Roaming charges apply in the roaming network usually indicated by the absence of displaying Lycamobile network on the handset screen. 2.1 Lycamobile is obliged only to supply the means necessary to provide the proper operations of the Lycamobile Service within its control. In this regard Lycamobile will determine the technical means necessary to provide access to this Service within its control under optimal conditions. 2.2 Mobile telephony is a form of wireless communication and operates on the basis of transmission of radio and signal frequencies. As such, it can be interfered with by numerous external sources or by obstacles inherent in buildings, vegetation or terrain and as such Lycamobile cannot guarantee a perfect error free transmission (in terms of actual availability or quality of Service) in all locations at all times. 2.3 The quality of the Lycamobile Service also depends on the quality of the mobile telephone handset used by the Customer. Lycamobile has no control or influence over the mobile telephone handset quality and compatibility. 2.4 The services provided “as-is”. Lycamobile makes no warranty with respect to the Service and does not guarantee that services are of satisfactory quality, fitness for a particular purpose, adequate, reliable, accurate, complete, safe electrical clay flawless. 2.5 Occasionally the Network and the Services may become unavailable due to requirements for upgrading, modification, maintenance or other necessary works relating to the Network or Services. At these times the Services may be temporarily unavailable and Lycamobile shall endeavour to keep any period of non-availability to a minimum. Lycamobile shall have no liability for any such periods of unavailability. 2.6 Lycamobile offers Roaming Services but due to the nature of these services Lycamobile cannot guarantee the availability or quality of Services using such Roaming Services. 2.7 Associated with the Lycamobile SIM Card is the PUK code (personal unlocking key). Instructions relating to their use may change to reflect new technology and will be explained in the “user manual” for the mobile telephone. Customers shall take every necessary precaution to preserve the secrecy of their PUK code. Customers are liable for any malicious or improper use resulting from intentional, fortuitous or accidental communications of these codes or transferring his/her SIM Card. 2.8 Lycamobile will not be held liable for any loss or inconvenience caused to the Customer by any actions of a distributor or retailer including fraud and deception and/or non-payment. In such cases, the Customer should contact the distributor and/or retailer from whom they purchased the SIM and/or multipurpose Voucher and request a refund. 2.9 Premium rated SMS and Premium rated calls are expressly excluded from the Services. 2.11 Lycamobile reserves the right to monitor and record communications using the Services. This may be done to improve the Services, to ensure compliance with Lycamobile policies, governmental, regulatory or enforcement agency requests, and to detect prevent criminal activity. 2.12 As a matter of policy Lycamobile will not intentionally disconnect any calls provided that there is credit available for the calls, however it may be possible that calls could get disconnected due to matters beyond Lycamobile’s control, e.g. force majeure, carrier fault, technology fault or human error. 2.13 Customers are hereby informed of the inherent risk in the use of the mobile telephone while driving a motorised vehicle. Lycamobile cannot be held liable for damage resulting from an accident caused by the use of the mobile telephone while a motorised vehicle is being driven. 2.14 Customers are hereby informed of possible interference that a mobile telephone may cause in certain sensitive types of equipment such as medical appliances, aircraft etc. It is therefore essential that the instructions given by the persons with responsibility for such equipment be strictly complied with. Lycamobile cannot be held liable for any damage resulting from a failure to comply with such instructions. 2.15 Lycamobile reserves the right, in its absolute discretion (and without prior notice), to restrict or prevent access to certain websites and services over its Network, including Voice over Internet Protocol (‘VoIP’) services. When we decide to restrict or prevent access under this paragraph, you may receive a message stating that the website or service is “not available”. 3.1 The Lycamobile SIM Card is used by inserting it into a compatible mobile telephone handset. 3.2 The Lycamobile SIM Card remains the exclusive property of Lycamobile. Customer must keep the SIM Card safe and not misuse the SIM Card in any way. 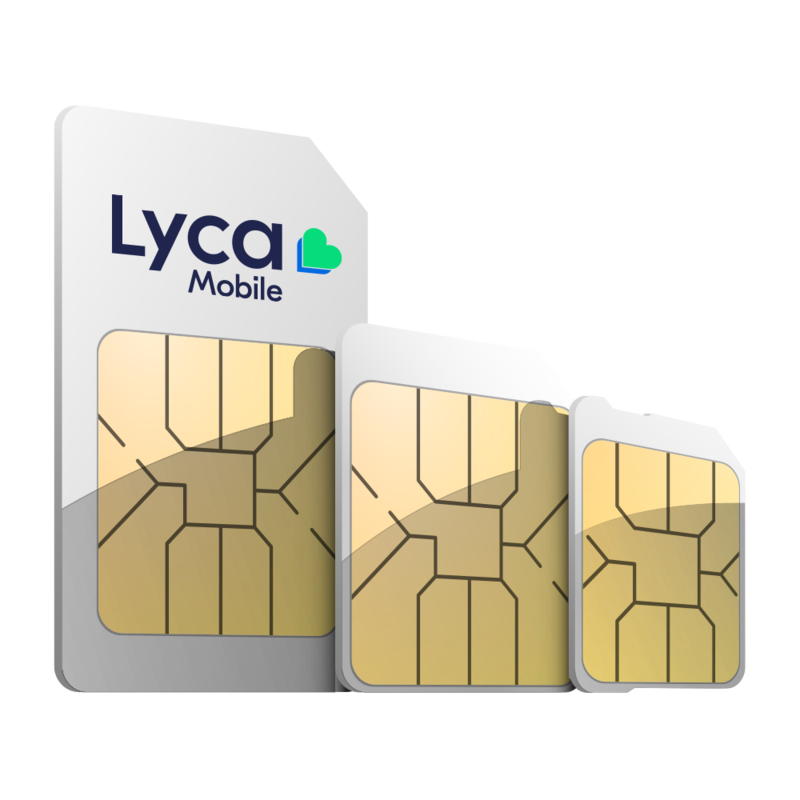 Lycamobile will only replace a SIM Card where it is found to be defective by reason of faulty workmanship or design. Lycamobile may in its sole discretion charge for replacing a SIM Card where Lycamobile reasonably believes that the Customer has been responsible for the misuse, damage or loss of the original SIM Card. Lycamobile furthermore reserve the right to recall a Lycamobile SIM Card at any time. It is Customers responsibility to inform Lycamobile of any damage to the SIM Card purchased by Customer. 3.3 If the Lycamobile SIM Card is not used to make outbound calls and SMS for three (3) months (the “validity period”), the SIM Card will be blocked preventing any further outbound use by the Customer. 3.4 The Customer will then have one (1) month to top up their SIM Card. If the Customer tops up within 1 month and uses the Service the old credit previously blocked under clause 3.3 will be reinstated and the Customer will be able to make and receive calls and SMS as normal. his/her specific telephone number permanently and the Lycamobile SIM Card will be blocked permanently from any further use by Customer. 3.6 All mobile numbers with no outbound call or SMS activity for 4 months will be directly recycled after 4 months and possibly without customer notification. 4.1 Customers pay for the use of the Services by topping-up their SIM Card account. Customers do this by purchasing Lycamobile multipurpose Vouchers and loading credit onto the SIM Card account. 4.2 Customers can top-up their Lycamobile SIM Card using a multipurpose Voucher at any time after registration including during any validity period. 4.3 If the top-up takes place before the end of a validity period or within one (1) month following the validity period, the credit unused at the time of the top-up will be added to the credit contained on the Lycamobile multipurpose Voucher. 4.4 Each time the Customer top ups his/her Lycamobile SIM Card during the validity period, the validity period shall be extended for a further three (3) months in line with the above conditions. 4.5 Where the Customer has used a Lycamobile multipurpose Voucher to top-up his/her credit for the use of a SIM Card, that credit can only be used for use with the Services and Customer shall not be entitled to receive any cash refund for any outstanding credit remaining on the Customer’s account at any time, including where the Customer fails to use the Services during a validity period and the Agreement is terminated. 4.6 Customers pre-payments via Lycamobile multipurpose Vouchers are not repayable by Lycamobile nor is interest payable on any credit on a Customer account. Each time the Services are used by Customer (or someone else using a Customer’s mobile telephone handset) the top-ups purchased will be reduced according to the tariff charges relating to that particular communication. 4.7 Lycamobile reserves the right to offer the Lycamobile multipurpose Voucher as a multipurpose voucher that can be redeemed for multiple services (if any) including airtime for the Lycamobile mobile Service. 4.8 From 5 August 2014 any new top up credit shall expire ninety  days from the date of top-up or recharge. For the avoidance of doubt, this does not apply to the existing credit balance in your Account before 5 August 2014. Where required by operating conditions or the organisation of the Service, Lycamobile may modify the technical characteristics of its Services. Customers will not be entitled to compensation for any replacement or modification of mobile telephone handsets made necessary by a change in the Network affecting the Services. 6.1 Lycamobile may disconnect the Customer fully or partially from the Service, without prior notice, if the Customer’s use of the Service threatens Network security or functionality, important social considerations or third party protection. In case of other breaches by the customer, Lycamobile will give the Customer prior notice of the breach and a reasonable time to rectify before disconnecting. 6.2 Disconnections shall take place without the Customer being entitled to any compensation. The disconnection will be lifted when Lycamobile determines that the Customer has fulfilled his/her obligations. The Customer shall meet the disconnection costs and those for reconnection. Disconnection of the Service does not release the Customer from any of his/her obligations under the Agreement. 6.3 If the Customer does not, within any time period allowed under clause 6.1, meet his/her obligations under the Agreement, Lycamobile is entitled to terminate the Agreement with immediate effect, upon which all claims of the Customer against Lycamobile will lapse. 6.4 Either party may terminate the Agreement with immediate effect due to a material breach of the Agreement by the other party; or, on one month’s notice to the other party. and the storing or dissemination of information which does not belong to the Customer and which can be held to infringe the rights of a third party including another person’s copyright or other intellectual property rights (unless with the prior consent of such third party). 7.2 Upon purchasing a Lycamobile SIM Card the Customer may be required to register with Lycamobile and this may include the Customer providing his/her personal information including their name, address, date of birth, etc. The Customer acknowledges that providing false information is a fraudulent act and if Lycamobile determines such personal information to be false, Lycamobile shall be entitled to terminate this Agreement without any liability to the Customer. 7.3 It is the Customers responsibility to notify Lycamobile of any changes to their personal details and for keeping their details retained by Lycamobile up to date. information and marketing purposes; all within the framework of the relationship with the Customer and in order to initiate information or advertising campaigns connected with the Products or Services provided by Lycamobile. 8.3 By registering with Lycamobile, Customer consents to Lycamobile transferring his/her personal information to countries which do not provide the same level of data protection as the United Kingdom if necessary for providing the Services. 8.4 Lycamobile will always use and process Customer personal information in compliance with Swedish data protection legislation, as amended from time to time. 8.5 Lycamobile shall provide to Customers a copy of his/her personal information held by Lycamobile where a Customer requests access to such information and provided the Customer pays the nominal administration fee. 9.1 Lycamobile has no liability whatsoever as concerns the Lycamobile SIM Card, Lycamobile multipurpose Voucher or the provision of the Services other than as stated in the Agreement. 9.2 Lycamobile shall not be liable for any damage or losses resulting from the content of calls or SMS messages sent or received by Customer. 9.3 Lycamobile may not be held liable for damage resulting from intervention by a third party, including any governmental, regulatory or administrative body. 9.4 Under no circumstances shall Lycamobile be held liable for indirect or intangible damage, nor additional costs, loss of income or profits, loss of customers, loss or damage of data or loss of contracts. 9.5 Lycamobile shall have no liability or responsibility in the event of loss, theft, fraudulent or wrongful use of the Lycamobile SIM Card by Lycamobile Customers. Moreover, Lycamobile shall not be liable to reimburse credit used by Lycamobile Customers or any other person where a Customer is not in control of the SIM Card and has failed to notify Lycamobile that he/she has lost his/her control over the SIM Card, and shall furthermore not be held responsible for any consequences resulting from use of services linked to a Lycamobile SIM Card. 9.6 Lycamobile’s liability to a Customer shall be limited to total maximum aggregate amount (including legal costs and other expenses) of ten thousand Swedish Krona (SEK 10,000) per claim or series of related claims. 9.7 Where a Customer suffers any damage or loss the Customer shall notify Lycamobile in writing of the damage as soon as possible and in any event within four (4) weeks after the discovery that damage has occurred. Damage that not has been reported to Lycamobile within this period shall not be compensated. This period shall not apply to a Customer (a natural person not acting in the capacity of a professional or enterprise) if the Customer makes a reasonable case for the fact that he or she could not have been reasonably expected to notify Lycamobile within this period. 9.8 Lycamobile will not be liable to perform any obligations or provide the Services because of any event of force majeure, i.e. any factor outside its control, including but not limited to Acts of God, industrial action, default or failure of a third party, war, governmental action, or by any act or decision made by a court of competent jurisdiction. 9.9 Lycamobile is not liable for any purchases, either physical or electronic, made by the customers from any sites recommended or redirected by Lycamobile. 10.1 Customers shall be liable for damage of any kind caused to Lycamobile or to third parties by their use or misuse of Lycamobile SIM Card or Lycamobile multipurpose Voucher by any persons whomsoever or on any mobile telephone handset whatsoever, even in the event of loss or theft and Customers shall compensate Lycamobile for any damage they cause, including minor faults. 10.2 In the event of loss or theft of the Lycamobile SIM Card, it is the responsibility of the Customer to notify Lycamobile as soon as possible about this loss or theft and to prevent any use by another person of the SIM Card. The Customer shall be solely responsible for the SIM Card and may not claim any reimbursement from Lycamobile for loss or theft of the SIM Card. 11.1 Lycamobile reserves the right to change these terms and conditions at any time without prior notice (except significant adverse changes shall be on one month’s prior notice). Furthermore Lycamobile confirms it has used its best endeavors to ensure the accuracy of the information contained herein, but does not accept any liability for errors, omissions and misunderstandings arising. 11.2 Rates and billing conditions relating to the Services are subject to change without any prior notice (except significant adverse changes shall be on one month’s prior notice); this may be due to circumstances outside the control of Lycamobile, such as changes to wholesale prices that it is charged by third party suppliers. 11.3 Changes in relation to 11.1 and 11.2 will be posted on the Lycamobile website. It is the Customer’s responsibility to regularly check the Lycamobile website for any changes affecting the Services and their use. By continuing to use the Services after Lycamobile makes any changes in relation to 11.1 and 11.2 above, Customer agrees to these changes. If a Customer is not happy with any of these changes then Customer does not have to continue to top-up their account for using the Lycamobile SIM Card. 11.4 Lycamobile shall be entitled to assign any and all of its rights and obligations under these terms and conditions to any other third party. 12.1 Any complaints or disputes between the Customer as a natural person not acting in the capacity of a professional enterprise and Lycamobile regarding the provision of the Service must first be raised with Lycamobile’s Customer Services using the contact details provided above. 12.2 Failure by either Lycamobile or Customer to enforce rights under this Agreement shall not prevent Lycamobile or Customer (as the case may be) from taking further action. 12.3 The Agreement is governed by Swedish Law and shall be governed by the exclusive jurisdiction of the Swedish Courts.